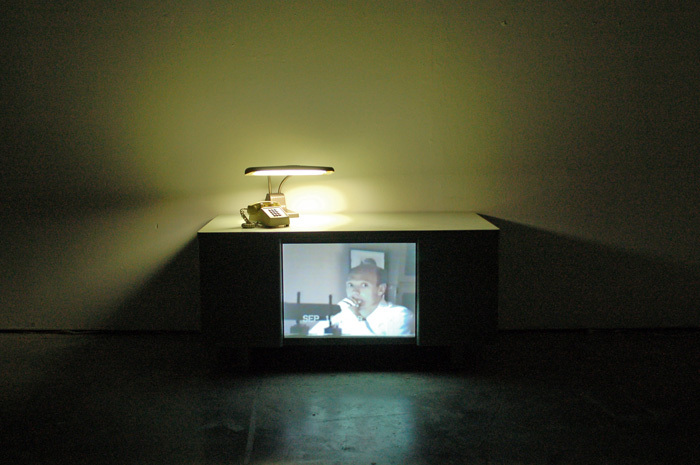 Mixed media sculpture with digital video, metal desk, lamp, telephone, and digital audio, 2010. 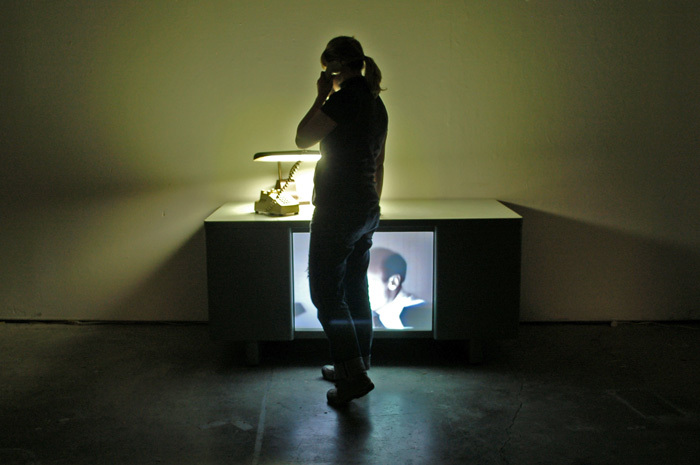 In the dark gallery space sits a metal desk projecting a film from within. The projection shows my father reenacting an investigation during the filming of the television show Unsolved Mysteries. 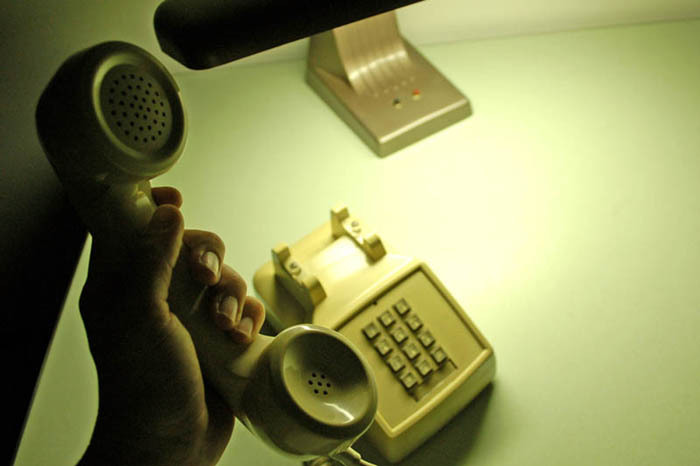 The telephone on the desk plays an audio narrative. The audio questions the desk-job aspects of intelligence gathering and how much of the work is an attempt to intimately know a suspect through documentation, evidence, and statements. That work is much like the work of any other researcher except that it involves the fate of others. Decisions about interrogation questions, entrapping fugitives, and probable motives are done remotely, at an ordinary government-issued desk under florescent lights.